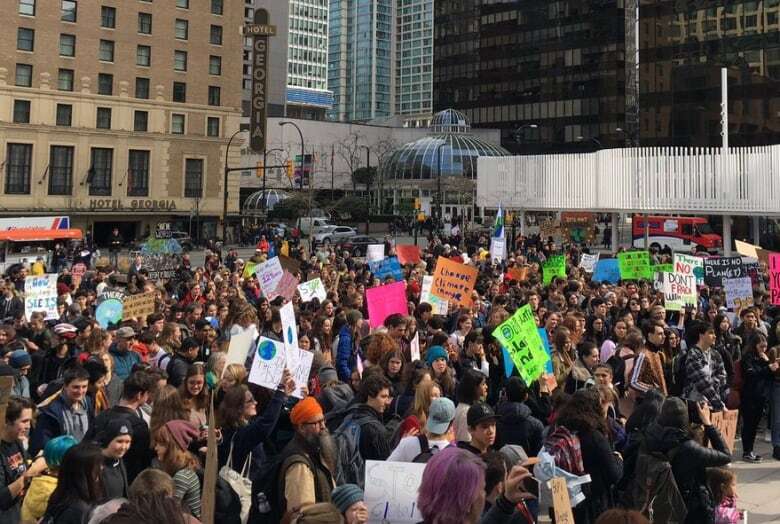 Thousands walked out of class Friday afternoon to join protests in front of the Art Gallery in downtown Vancouver and outside the provincial legislature in Victoria. B.C. 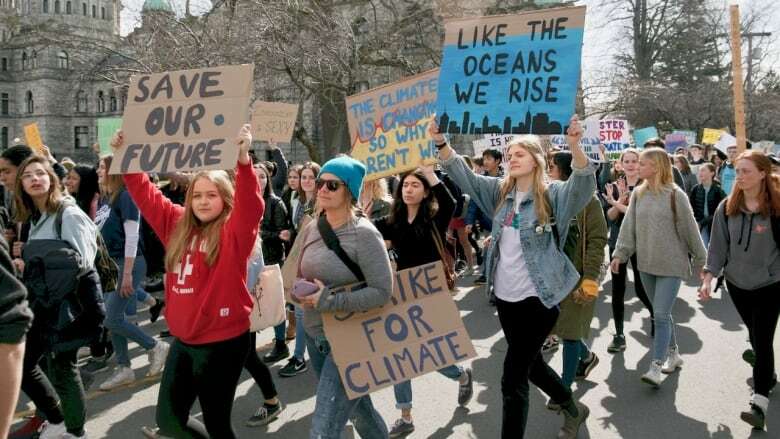 students are co-ordinating efforts with young people from around the world in an international strike to protest the way world leaders are responding to climate change. 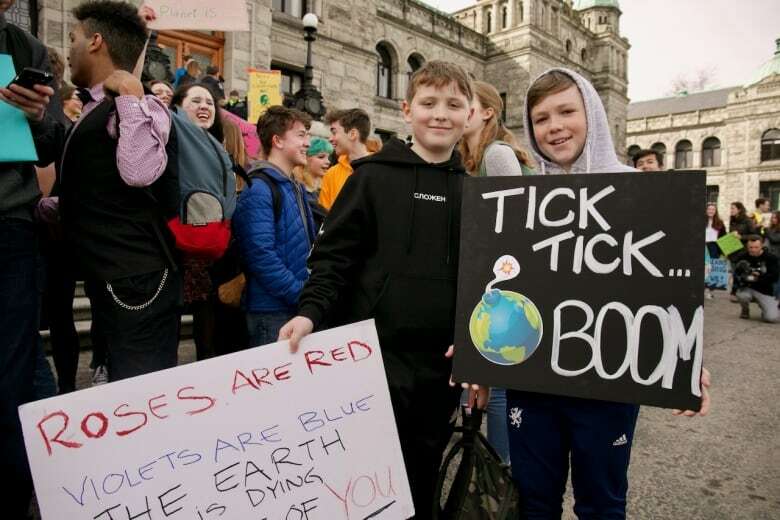 "Climate activism is super important because it's really a fight that we can't afford to not be having," said Cassie Millar, a student at the University of British Columbia . "This kind of activism is something we want to make sure that our government is hearing our voices and hearing our concerns about the future." The school walkouts follow a new report by the UN on the state of the Arctic which grimly concludes that Arctic winter temperatures will increase by 3 C to 5 C over the next three decades, whether the Paris Agreement on climate change succeeds or not. "I'm really happy that Vancouver is starting to take part in the kind of strikes that have been happening around the world," Millar told Stephen Quinn, the host of CBC's The Early Edition. "This is an issue that is really disproportionately affecting young people." It's not just college students planning to come out. Rebecca Hamilton, 16, is co-ordinating a strike from Lord Byng Secondary School in Vancouver's West Point Grey neighbourhood. "Our governments are not acting with the scale and urgency that this needs," she said. "By striking from school, we're setting an example of urgency. We're putting aside our normal lives to prioritize climate action and we need all levels of government to follow our example." The future may look bleak with reports like the recent UN findings but, for young people like Hamilton, there is still hope. "You can't argue with young people who are just asking for a safe future and so I think that's one reason why our voices are so powerful," she said. "This climate change movement is giving me so much hope." 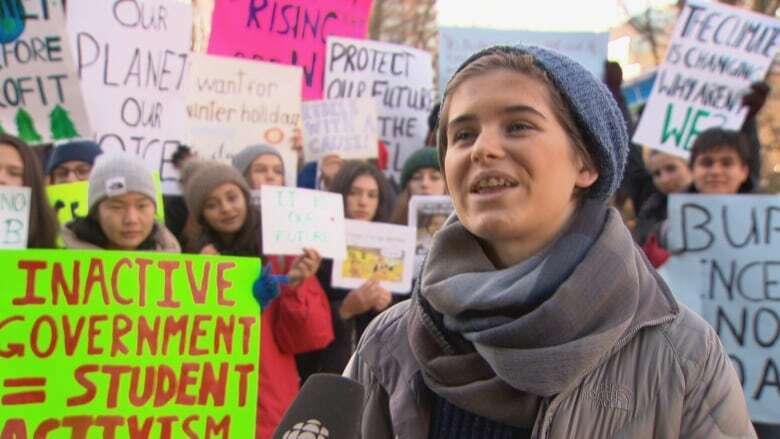 Rebecca Hamilton pictured last year at a student rally against climate change. She organized the walkout from her high school on Friday.